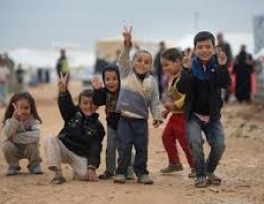 The United Nations Children's Fund (UNICEF) has warned that it will soon run out of money to cope with the vast needs of internally displaced Syrians as well as refugees in neighbouring countries. UNICEF said on Friday that it would run out of money by June for its operations in Jordan - where it provides water sanitation and hygiene services to about 100,000 refugees living in Zaatari camp. Marixie Mercado, the UNICEF spokeswoman, said: "The needs are rising exponentially, and we are broke." "We have received about 29 percent of the money we need to be able to sustain our operations inside Syria and in neighbouring countries," Ted Chaiban, UNICEF Director of Emergency Operations, told Al Jazeera. In the case of Zaatari camp, if UNICEF programmes cease functioning, the population will no longer have access to clean water or hygiene facilities. "Then you will see skin diseases, diarrhoea and dramatic consequences for children," Chaiban said. 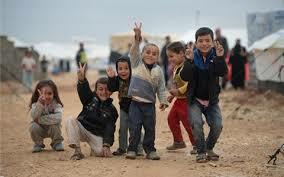 The number of Syrian refugees in Jordan is approaching half a million. The UN is predicting that the number of Syrian refugees in Jordan will more than double to 1.2 million by the end of this year. UNICEF also works inside Syria with the International Committee of the Red Cross (ICRC) to provide support to urban water systems that allows continued access to water in major cities. In addition, the aid group runs an immunisation campaign for the increasing number of internally-displaced people that provides life-saving measles and polio vaccinations to three milllion children. "If you stop immunisations, you have the kind of measles outbreak we saw in Lebanon recently. And measles plus malnutrition can lead to children dying. These are profound consequences,"Chaiban told Al Jazeera. Clashes broke out across Syria on Friday, with Syrian rebels claiming they have overrun an army garrison that defends the main southern border crossing with Jordan on Friday and vowed to press on to take control of the major transit route. Fighters from the Free Syrian Army said that they captured the Um al-Mayathen post on the main Damascus-Jordan highway in heavy fighting overnight that ended a more than week-long siege. Confirming the development, the Syrian Observatory for Human Rights (SOHR) said: "Rebel fighters took control of the Um al-Mayathen military checkpoint ... in Deraa province in clashes with regime forces." Earlier in the day, activists said a barrage of rockets slammed into a contested district on the northeasternedge of Damascus, killing at least five people and trapping others under the rubble. The attack on the capital's Barzeh neighbourhood, where opposition fighters are known to operate, followed days of heavy fighting between the rebels and the military in the area. Meanwhile, the Italian Foreign Ministry said four Italian journalists were kidnapped in northern Syria, the Italian news agency ANSA said. It provided no further details. Italian media said that one of the reporters worked for RAI state television, two were freelance and one was an Italian-Syrian woman who works with an Italian newspaper. Bashar al-Assad, the Syrian president, has warned that the fall of his regime or the breakup of Syria will unleash a "domino effect" that will fuel Middle East instability for years to come, in his sharpest warning yet about the potential fallout of his country's civil war on neighbouring states. Speaking in an interview broadcast on Friday, Assad accused his neighbours of stoking the revolt against his rule and warned they would eventually pay a heavy price. "We are surrounded by countries that help terrorists and allow them to enter Syria,"he told the Turkish TV station Ulusal Kanal. "Everybody knows that if the disturbances in Syria reach the point of the country's breakup, or terrorist forces control Syria ... then this will immediately spill over into neighbouring countries and there will be a domino effect that will reach countries across the Middle East,"he said. The Syrian regime is under growing pressure from an increasingly effective rebel force that has managed to pry away much of northern Syria and is making significant headway in the south, capturing military bases and territory that could offer rebels a staging ground to attack the capital, Damascus, the seat of Assad's power. In all, more than 70,000 people have been killed in Syria since March 2011, the UN says.